Joe Hutchinson has been the design director of Rolling Stone since December, 2011. I HAVE BEEN design director for Rolling Stone for the past 11 years, and during that time a lot has changed here at the magazine and in the industry. The design of the magazine evolved within that time period and is about to take a major step forward into the future. 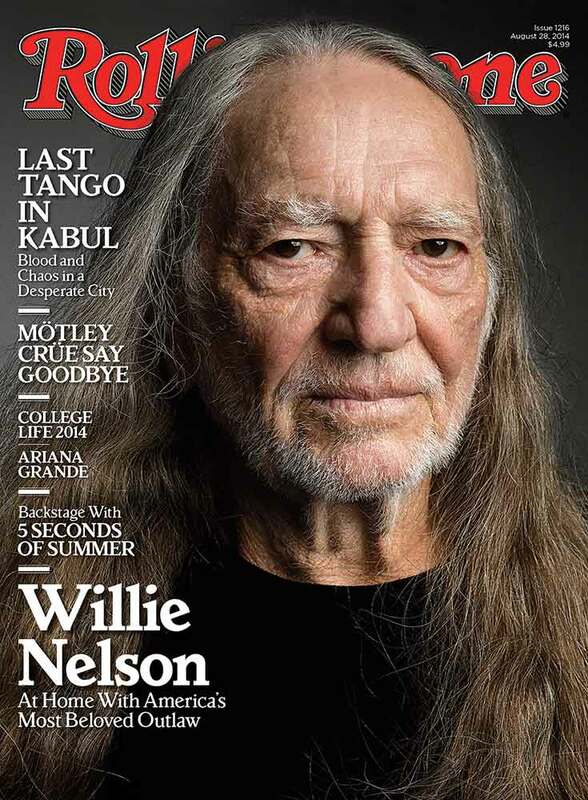 When I started at Rolling Stone, there was a directive to go back to the magazine’s roots, which turned into a decidedly more newsy and classic look for the magazine, without being too stodgy or stiff. And, to put this in context, we were dealing with the realities of emerging economic issues that were facing print journalism. Space and page counts for editorial could not be taken for granted. Every piece of content, every piece of typography, every photograph and design approach had to count. We were still committed to great storytelling through writing and visuals, so the challenge was to figure out how to continue to showcase our strength in this new environment. These were the factors that influenced the typography and design I created. We were still at the famous 10 x 12 oversize shape when I started. I inherited a number of different typefaces being used and it seemed that each major section of the magazine had its own branding. Rock & Roll used distinctly different typefaces, (Elmhurst) colors and graphics from the Reviews section (Dispatch). Amid Capeci left for Newsweek and Rolling Stone had a temporary art director in place before I started. During the interim period, the edit leadership really pushed for a newsier presentation and typography. For example, Escrow, The Wall Street Journal headline typeface, was introduced on RS covers and inside to join existing fonts Elmhurst, Dispatch, Amplitude and New Kennerley. Joe Hutchinson restored the classic fonts, and is now preparing for a big relaunch. SO WHEN I came on board, I felt that there were too many typefaces being used simultaneously. I simplified things and focused on Farnham for the display, Amplitude for sidebars, and I kept New Kennerley for text. Farnham is a fine typeface, but we wanted something more unique for our display. Farnham was being used by other titles at the time. We looked back into the history of the magazine and noticed that Cochin was used for headlines on columns, decks, bylines and accent display. We commissioned David Berlow of The Font Bureau to create a fresh interpretation of Cochin with a sturdy condensed version as well as an elegant normal cut. Major section banners like “Rock & Roll” and “Reviews” used Berlow’s new Cochin as a basis but were customized by Jim Parkinson to be dimensional to echo the Rolling Stone logo. The condensed version of Cochin saw heavy use as headlines for the newsy Rock & Roll section for a newspaper feel as well as in the back of the book for the reviews section. We relied on the regular width to carry the feature well. I also created a real feature well by pushing advertising to the front and back of the book to give the feature well more grandeur. Before this change, advertising ran all the way through the book, much like a newspaper. The opening display of features was always impressive but at times the turn pages of those stories were often a wall of type. But moving the advertising to the front and back enabled more flexibility in the packaging images for a more dramatic, more energetic and more varied presentation. 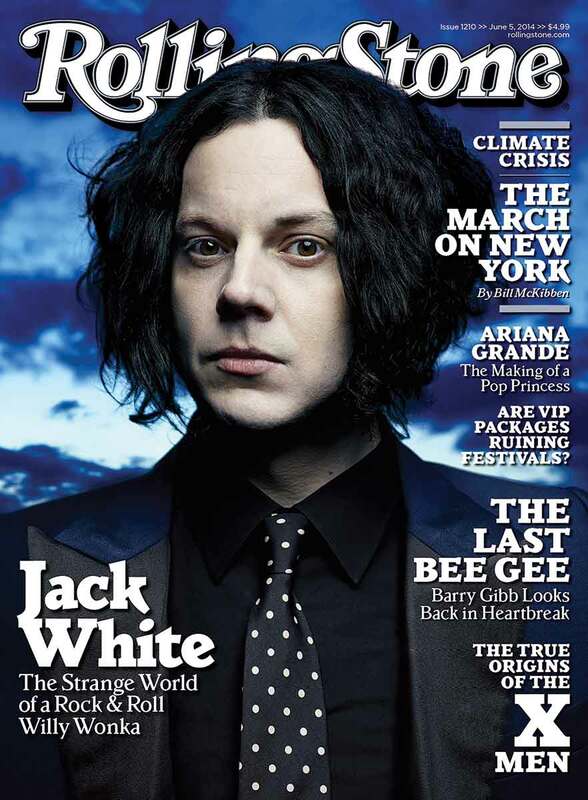 Jack White, Rolling Stone 1210. BUT A CHANGE was coming. The magazine’s trim size changed from the famous 10 x 12 size to a standard magazine size. That change in size brought about the need for new typography and approach to design. The regular width of Cochin, which is pretty wide and thin, became a bit problematic at the smaller trim size. Also New Kennerley, the text typeface, also seemed too light, thin and wide in our new trim size and new paper stock. So Miller text was adopted and along with it, Miller display typefaces as well. The overall directive remained: Show restraint, be classic without being stodgy. So the design evolved again and we doubled down on the Rolling Stone headline typeface created for the magazine in the late 70s (by Roger Black and Jim Parkinson), which was used the most throughout the magazine’s history. The Font Bureau digitized this font a long time ago and their version of the Rolling Stone typeface was called Parkinson. We used it again in a fresh way. The feature well had more typographic freedom for display but we limited the guest appearances to just a few. For the most part, Parkinson, Miller, a sans serif such as Titling Gothic typically for investigative pieces were the core typefaces through today. I always look back though the history of the magazine for design inspiration and reinterpret graphic elements into modern uses. The Oxford rule was present at the beginning, dimensional type, newspaper elements like rules in the gutters, etc. We strove for ways to exaggerate those elements to freshen them and at the same time have some brand identity that is familiar to the reader. The stories in the magazine varied widely in tone and scope. Within one feature well we would go from an irreverent celebrity piece to an investigative story that unseats an official at the highest level of government. The challenge was that we had to do it within the constraints of the “classic” look. That challenged us as designers to be creative, to create power and elegance and truly differentiate the tone of one feature story to the next. Often we used themes in the photography to inspire a design solution. If Lady Gaga is posing in a street garbage can then crumpled newsprint, which is something commonly found in a trash can, becomes the graphic element for the typography. On the other hand, a clean stack of tightly leaded bold Giza is more appropriate for a story examining a destructive Mormon cult leader.